Cellulose, plant-derived capsule (modified cellulose, vegetable magnesium stearate, silica. Take 1 capsule twice daily. For best results take before meals. KEEP OUT OF REACH OF CHILDREN. Do not use if you have gastric ulcers or low blood pressure. If pregnant, nursing or taking any medications, consult a health care professional before use. 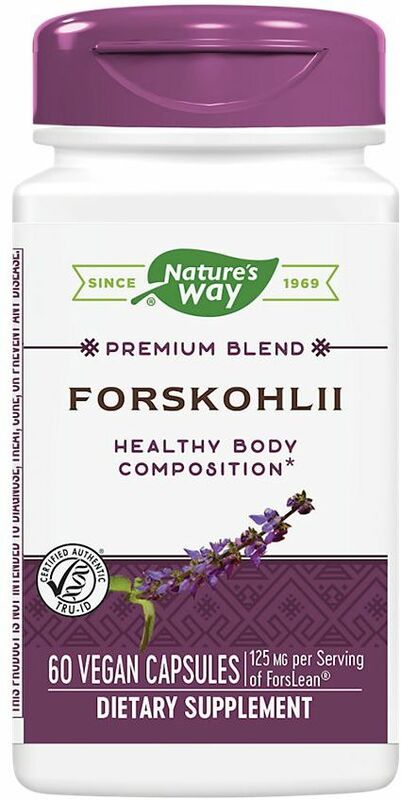 ForsLean patented forskohlii root extract is standardized to 20% forskohlin for promoting fat loss, lean body mass and weight loss. Do not use if you have gastric ulcers or low blood pressure. If pregnant, nursing or taking any medications, consult a healthcare professional before use.